Asus Zenfone 5Z price in India has leaked on Flipkart, which is confirmed to be Flipkart's exclusive. The prices of the smartphone surfaced on Flipkart ahead of its official launch on July 4. According to the online listings in the marketplace, the smartphone could be available at the price of Rs 29,999. The smartphone will be available in three variants. Ahead of the official launch of Asus Zenfone 5Z in India, the price of the smartphone has leaked on Flipkart. The smartphone is scheduled to launch on Wednesday, July 4. According to a report in the Indian Express, the Flipkart listings revealed that the smartphone could be available in the market at a price tag of Rs 29,999 for 6GB RAM and 64 GB expandable storage variant. Moreover, Asus Zenfone 5Z comes in total 3 variants, which are 6GB RAM with 64GB storage, 8GB RAM with 128GB storage and 8GB RAM with 256GB storage. Coming to the prices of8GB / 128GB and 8GB / 256GB variants, the Flipkart listings pointed out at the possibility that it could be priced at Rs 32,999 and Rs 36,999 respectively. 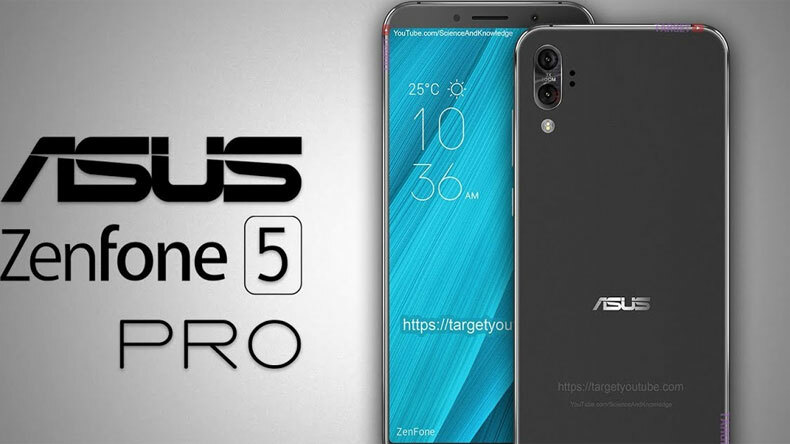 According to reports, Asus Zenfone 5Z was scheduled to launch on Wednesday with a live stream on YouTube and other social media platforms being hosted by the company. The launch event was scheduled to start at 12:30pm IST. Coming to the colour options, Asus Zenfone 5Z is available in two colour options, which are Midnight Blue and Meteor Silver. The smartphone will also be exclusively available on Flipkart. Powered by Qualcomm Snapdragon 845 processor, Asus Zenfone Z5 is a dual-SIM phone that runs Android Oreo-based Zen UI 5. Coming to the specifications, the smartphone sports a 6.2-inch full HD display. Asus Zenfone Z5 also has a narrow bezel and bottom chin, that holds a rear-mounted fingerprint sensor. Coming to the camera, Asus Zenfone Z5 has a 16MP+13MP dual camera set up in the rear and an 8MP front camera that is suitable for clicking the best selfies. Under the hood, the smartphone sports a 3000mAh battery. For the interested buyers, the company has also provided some exclusive offers and monthly EMI options. While the smartphone is available at a monthly EMI option that starts with RS 997 for the 6GB RAM variant, the other two are available at Rs 1097 and Rs 1229.